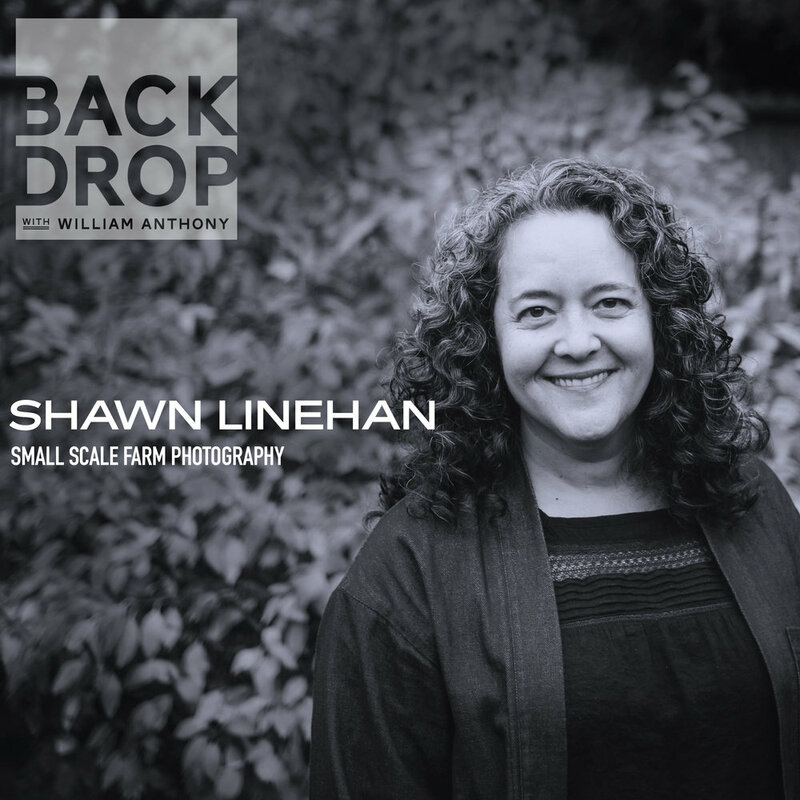 On this episode of Backdrop, we meet photographer and educator Shawn Linehan. She’s carved a niche for herself photographing the small-scale farms that put the “farm” in “farm-to-table.” With her gentle Southern drawl and unique, personable demeanor, she disarms and photographs early-rising, dirt-caked farmers and shares their world with the rest of the world. We discuss food security, her cow friends at the Tillamook Creamery here in Oregon and also— inevitably—poop. Lots and lots of poop and the best type of footwear for a dairy farm shoot.